We should have the events, locations, times, and cost nailed down in the coming weeks. Hopefully we will have the registration form available by the end of February or early March. So stay tuned for more info, and hoping to see everyone for another good turnout! I am living in Conway, married since 1999, no children and am the Arkansas Director for The Humane Society of the United States. Finally got my dream job, dream husband and the life I always dreamed. 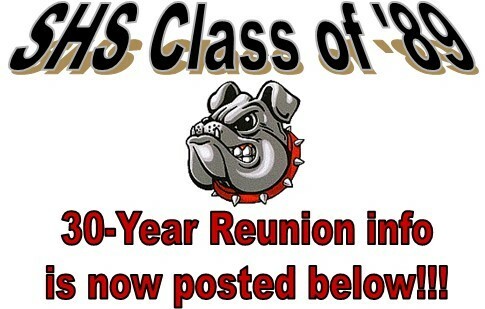 Have no idea where I was during the 10 year reunion but I will be at the 20 year event. It is a product of Classreport, Inc. and may not be affiliated with Springdale High School or its alumni association.